Then, the so-called Erdan’s Committee recommended various measures aimed at ending the alleged “party”, which included placing limits on prisoners’ use of water, banning food preparations in cells and installing jamming devices to block the alleged use of smuggled cell phones. The last measure in particular caused outrage among prisoners, for such devices have been linked to severe headaches, fainting and other long-term ailments. Metzada is IPS’ “hostage rescue special operation” force and is known for its very violent tactics against prisoners. Its attack on Naqab resulted in the wounding of many prisoners, leaving two in critical condition. Palestinian prisoners fought back, reportedly stabbing two prison guards with sharp objects. 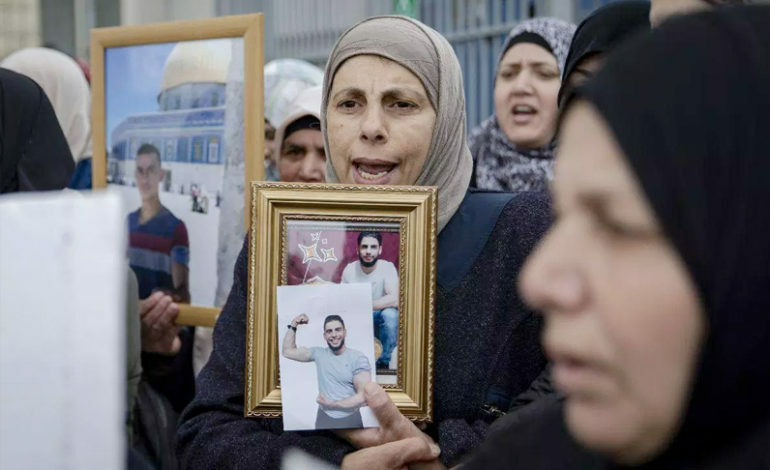 In response, the leadership of Palestinian prisoners adopted several measures, including the dismantling of the regulatory committees and any other form of representation of prisoners inside Israeli jails. On December 24, embattled Prime Minister Benjamin Netanyahu and other leaders of Israel’s right-wing government dissolved the Knesset (parliament) and declared early elections on April 9. Indeed, a hate-fest involving many of Israel’s top candidates kicked in, some calling for war on Gaza, others for teaching Palestinians a lesson, annexing the West Bank and so on. For Israel, it seemed like a fairly safe and controlled political experiment. Video footage of Israeli forces beating up hapless prisoners, accompanied by angry statements made by top Israeli officials, captured the imaginations of a decidedly right-wing, militant society. Netanyahu has “lost his grip on security,” the Blue and White party leader, Benny Gantz, proclaimed. Aware of the Israeli strategy, Hamas’ political leader, Ismail Haniyeh, linked the ceasefire to the issue of prisoners. – Ramzy Baroud is a journalist, author and editor of Palestine Chronicle.